Repair Services - Volpe Enterprises, Inc.
A simple roof leak can have devastating effects on your home, business, and rental property. 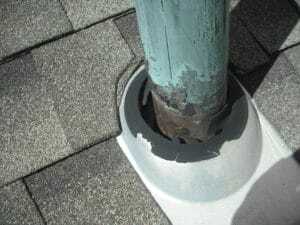 A roof leak is just a symptom that tells you that you have a problem. When caught early, you can avoid expensive ceiling and other interior damage, structural problems, electrical issues, and mold. 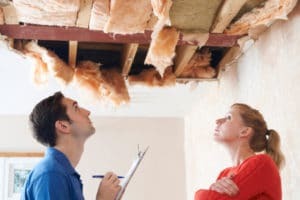 Typically, fixing the roof leak is a fraction of the cost of dealing with the resulting damage – that is, if you act quickly. A roof leak is more than just annoying; it can lead to severe water damage and even threaten the structural integrity of your home. 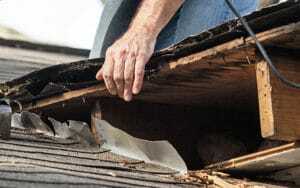 If your roof leaks, it is important to take care of it immediately. It is also important to regularly check your home for evidence of leaks or water entry. Look especially for water stains on ceiling tiles, mold and other evidence of moisture. If you find any signs that water is entering your home, locate the lead from the inside of the home and then take the steps necessary to repair the leak in the roof. Loose or damaged shingles can compromise the look and the strength of your roof. 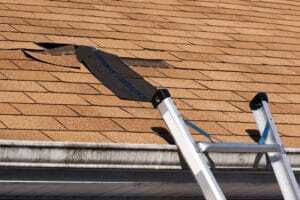 Look for missing and damaged shingles (damaged shingles might be curled, cracked, or torn) on your roof or around your property. If this type of damage is localized, roofing repairs might be able to address the problem. More extensive damage might necessitate roof replacement. Also keep in mind that not only the roof itself, but the chimney, ventilation pipes and roof flashing can also become damaged. Be sure to inspect them for damage as well. If you suspect that any of these items are showing wear and tear, don’t hesitate to give us a call. 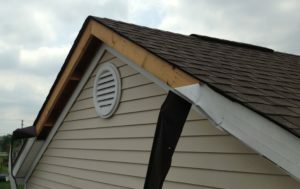 In our area we often get high gusty winds or the occasional strong storm which can cause your home’s fascia to be partially removed or become completely missing. Volpe Enterprises can assess the damage and replace it.